The largest and most dangerous volcano in the United States is suddenly experiencing dozens of small earthquakes, most only minutes apart, and experts are suddenly getting concerned that the Yellowstone Super-Volcano may be heading toward an eruption. It is UNDER STRAIN, they say! 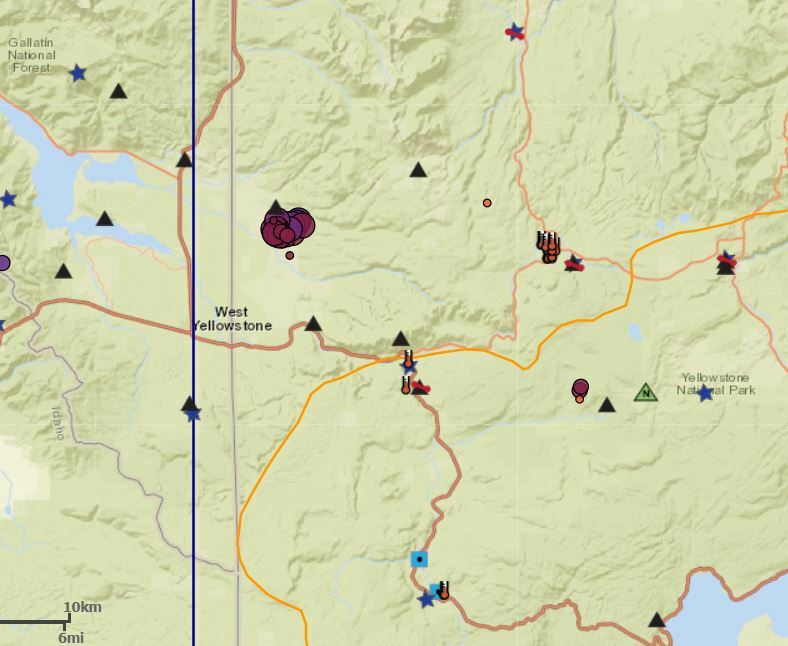 Yellowstone has been hit by 12 small earthquakes today. All of today’s earthquakes struck near Maple Creek and measured 2.9 or less in magnitude. While all the quakes were relatively small, it does point to an increasingly volatile geological landscape at the park. 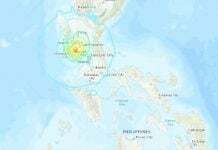 46 earthquakes have been measured since February 12, 2018 at this exact same spot! 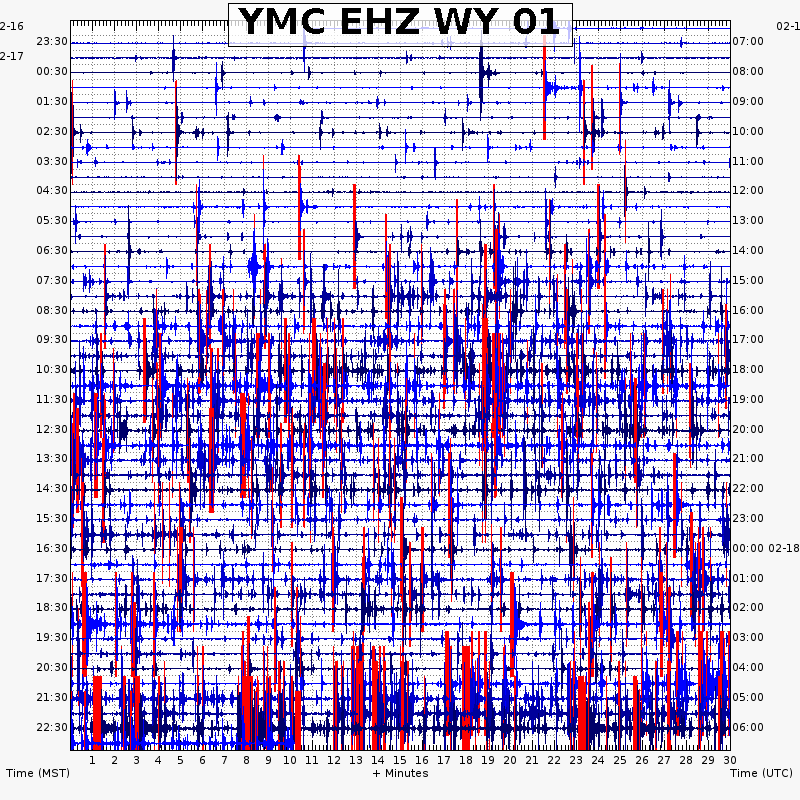 A normal seismic day at Yellowstone National Park. 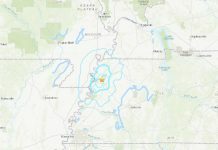 Earthquake swarm hits Yellowstone in February 2018. 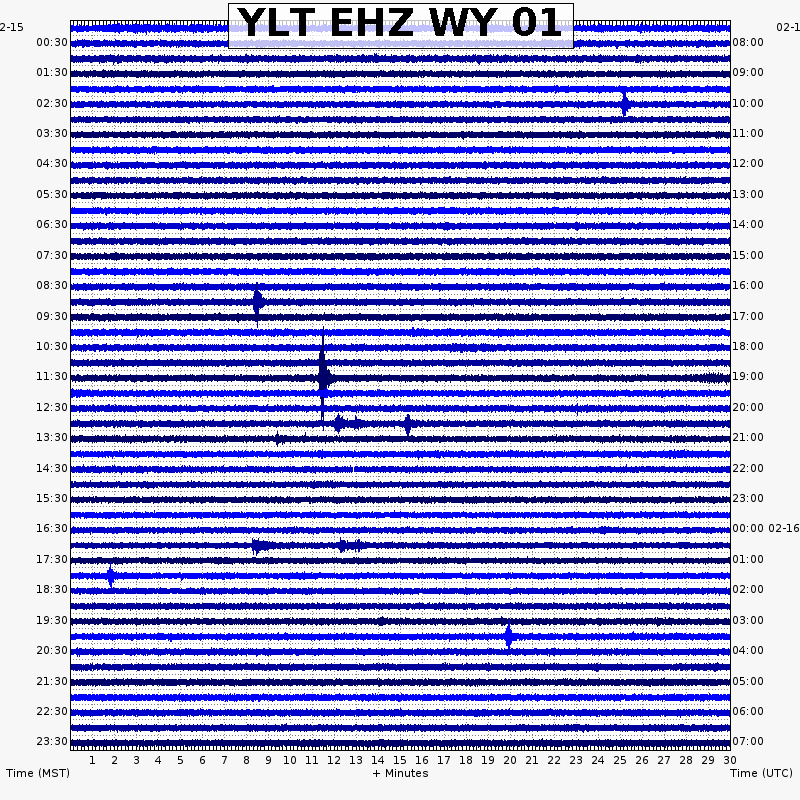 Since February 17, 2018, seismographs are going frenzy in Yellowstone National Park. 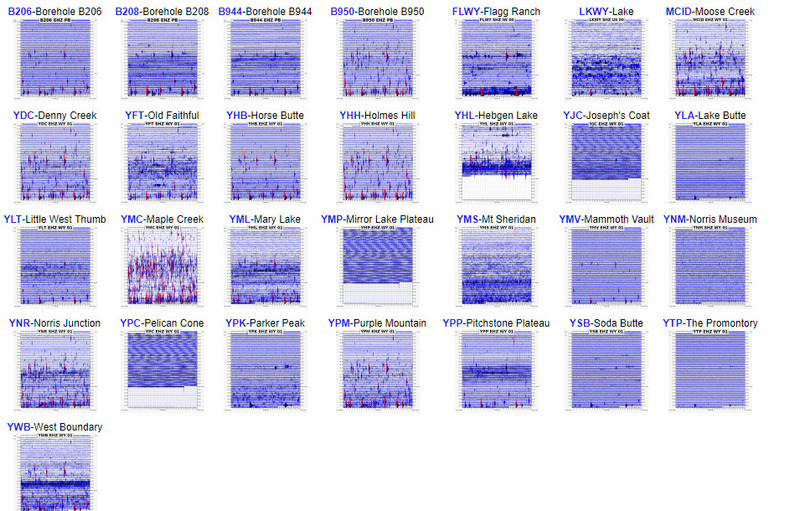 And alsmost all seismographs show the same chaotic patterns. What is going on there? What does a Yellowstone volcanic eruption mean? The volcano at Yellowstone National Park in Wyoming and Montana sits atop a huge reserve of magma and last erupted 640,000 years ago. Experts warn it erupts roughly every million years, with some geologists claiming it is already showing signs it could be ready to blow once again. If the Wyoming volcano were to erupt an estimated 87,000 people would be killed immediately and two-thirds of the USA would immediately be made uninhabitable due to a huge ash cloud sparking rapid climate change. The large spew of ash into the atmosphere would block out sunlight and directly affect life beneath it creating a “nuclear winter” for huge parts of Earth – not simply the American West. Earlier this week seismologists from UNAVCO, a nonprofit university-governed consortium, said the site was “under strain”. They said “the strain signal is larger than would be expected if the crust under Yellowstone were completely solid”. However these findings are “no cause for alarm”, they said, and reflect the expected measurements of a volcano which has been building up for close to a million years. I do not presume to be able to properly interpret what I am seeing. But what I am seeing is not “typical.” Something is going on… But I don’t know what… Do you? If this super volcano become so active with huge magma pool in underground, “ALL 29 seismographs in and around Yellowstone” should exhibit the similar activity. 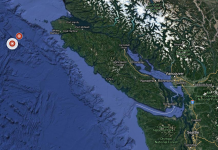 But some area is much more active than some area where do not have very much activity. That means this is not volcanic related. My guess is, again, Galactic Federation of Light is actively cleaning up Reptilian (=the shadow government) secret underground base just under Yellow Stone National Park. As I commented before, National, State, County, City parks are all surface facilities of their underground bases. So many people are missing and disappearing from those parks every year. Remember, we are their food and slaves. Space Traveler from Alabama has got it close to correct, but as an alien myself and a member of the Elite Advance Alien Guard I take offense at the suggestion that we busy ourselves with hot spots underground, or dig caverns under the immense expense of national parks to make intergalactic sandwiches out of human flesh. These places are rather boring. There is a real hot spot in downtown Chicago and another in LA where the chicks are awesome. It is more tasty to eat a chick sandwich who took a recent shower and put on some perfume than a backpacker sandwich drenched in sweat. Trust me about this. We might be aliens but we are not so weird. Anyway, no sense to worry about this stuff because we are set to blow Yellowstone sky high to boil a few million Americans in a delicious volcanic ash soup. We got relatives coming for dinner. Considering how totally screwed up liberal “thinking” has made our nation, a supervolcano like Yellowstone might be the best thing that could happen. Hey…maybe that would make for the possibility of a ‘free state’. Conservative refugees from libtard states could make sure to travel west of the Mississippi and south enough to be out of the deadly area..and start all over again. The ‘liberal’ states could continue like they are and stay nice and comfortable in their zones of no longer ‘global warming’!